Well, not the post-modern kind of deconstruction. 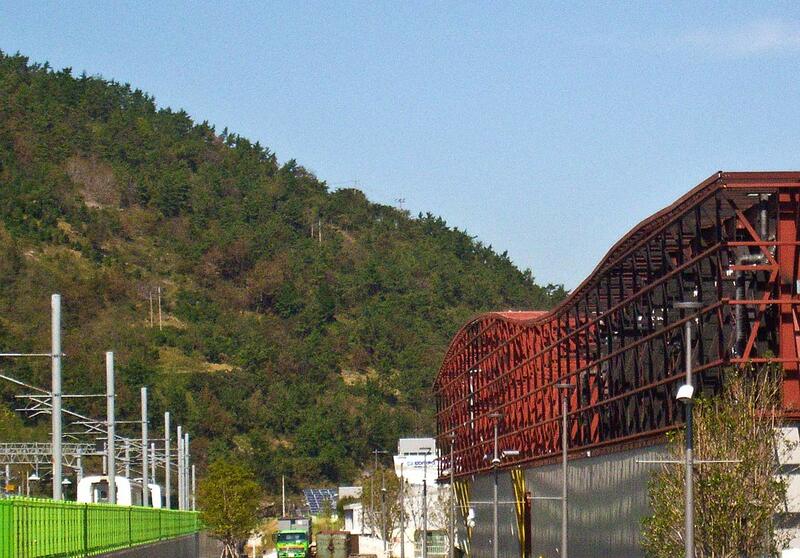 Unconstruction? Demolish might be too harsh, since the pavilions and other buildings are being taken apart brick by brick and beam by beam. It’s a bit sad to see the area going down, but at least it appears that many of the resources put into the construction are, hopefully, going to be recycled. I last visited the area several weeks ago and here are a few photos of the site. Hauling away the debris. 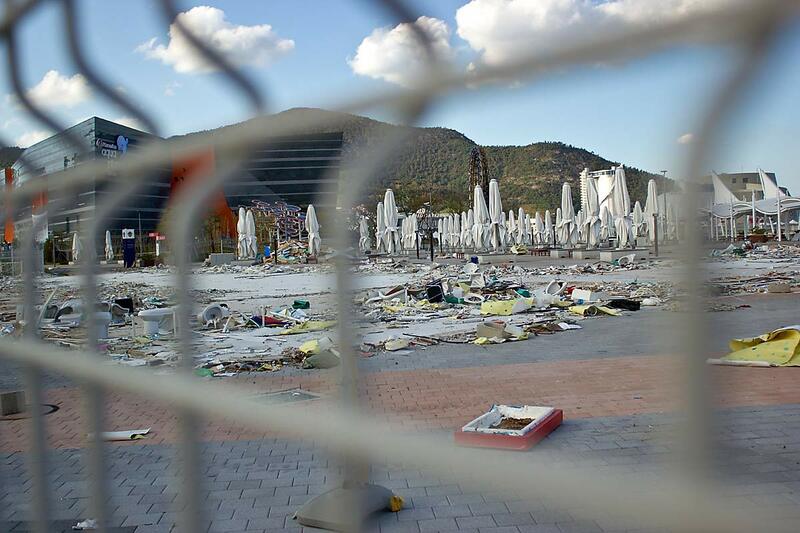 There’s rubble scattered everywhere. Looking through the fence toward the aquarium at some of the debris. 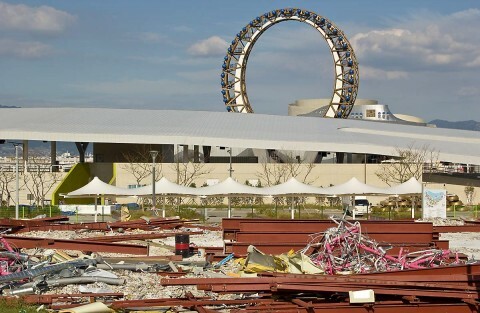 Near the same area, but past the aquarium, are the remains of the Local Governments Pavilion. There are lots of beams being stacked up, so I assume they’re going to be recycled for other uses. Here’s a shot looking down the Ocean Plaza Walkway toward the far end of the site at the corporate pavilions area. Most of them have been torn down by now. 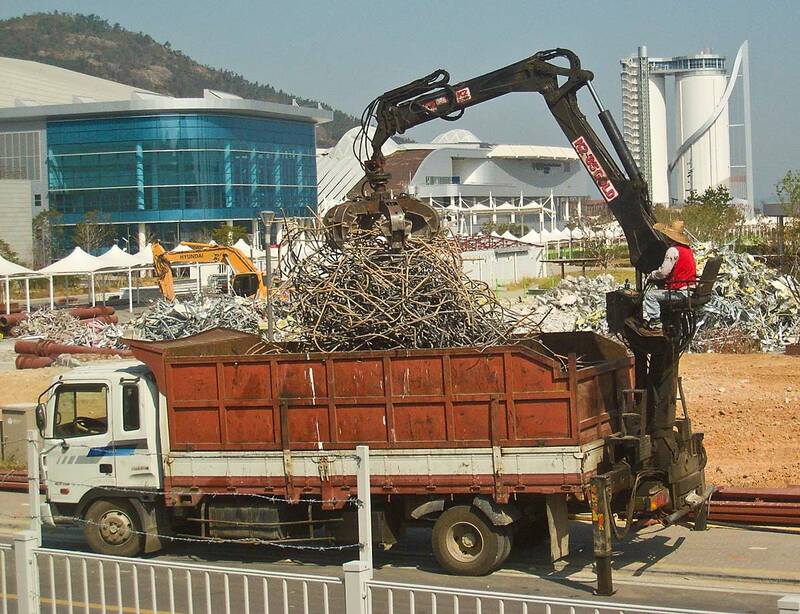 Here’s a closer look at the Samsung Pavilion going down. 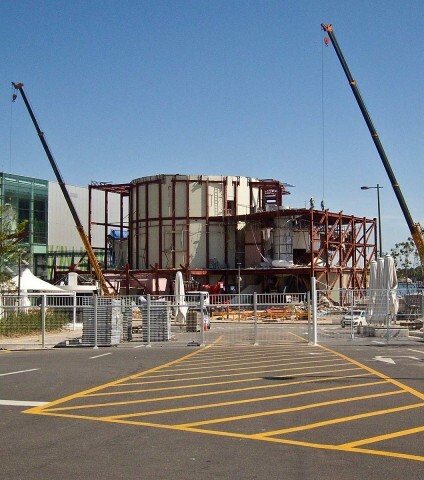 And the International Organizations and NGO Pavilion skeleton. Down comes the Kids’ Fun Lab, near the railway terminal entrance. Finally, for now, the Climate and Environment Pavilion, mostly gone. I plan on going down to the area this coming weekend, so I’m sure there will be more drastic changes to shoot. I’ll put the photos up here, of course. Thanks for the pictures. I gather the Aquarium and Big-O will stick around, but has there been any official word on what, if anything, else will remain? Hi, Austin. 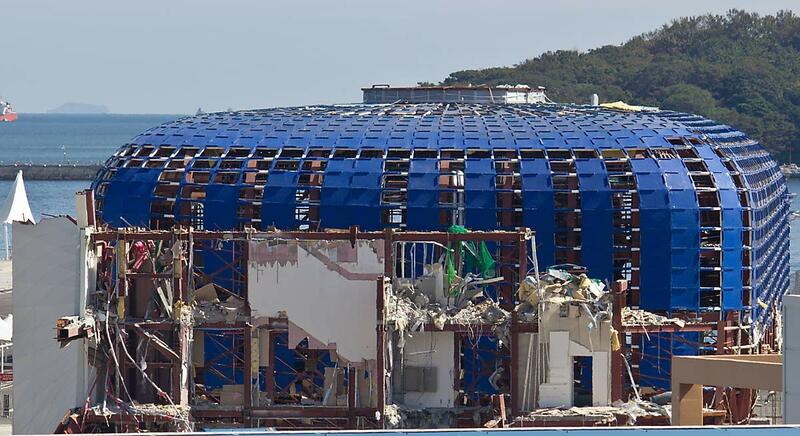 No, there’s been no official word yet, but I would guess that the Theme Pavilion and most of the International Pavilion will remain. I’ve heard that the Korean Pavilion is guaranteed to remain. I went down to the site today and took some photos, so my next post will include those and why I think the other pavilions will remain untouched, for the most part. 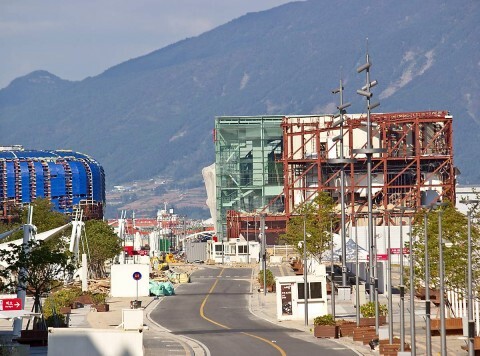 I went to the Yeosu area as it was being put up (the Odongdo area and such), so it’ll be interesting to see how the area adapts to the new buildings and how tourists will be able to meander through the properties. Hi, Chris. I’ll be certain to keep up with the changes in that area. I’m pretty interested, too, to see what’s going to happen down there. Also, thanks a lot for the redirect tip. I implemented it and it works great!